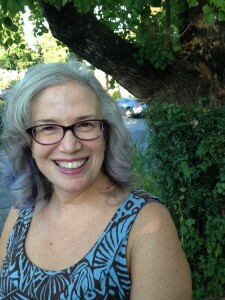 This month we welcome Austin SCBWI member Susan Signe Morrison to our interview series. Susan writes on topics lurking in the margins of history, ranging from the recently uncovered diaries of a teenaged girl in World War II to medieval women pilgrims–even excrement in the Middle Ages. Professor of English at Texas State University, she is committed to bringing the lives of women hidden in the shades of history to a wider audience. 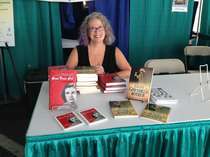 Check out the links to her books and site throughout the interview. For more, you can find her on Twitter, @medievalwomen. Thanks for joining us, Susan! I grew up in Morristown, New Jersey, near the Great Swamp. My parents took me there to go bird watching all the time starting in my childhood. 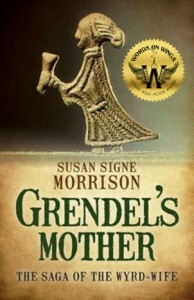 I’m sure that influenced my novel, Grendel’s Mother: The Sage of the Wyrd–Wife, a retelling of the Old English epic, Beowulf, from the woman’s point of view. My novel, like the medieval original, has many scenes set near a “mere” – a fen or swampy area. Always. My parents were both writers. My mom called our family “the Morrison Writing Factory.” While my dad wrote chemistry books, she was a historian and, after her death, I edited her teenage diaries about WWII in the volume, Home Front Girl: A Diary of Love, Literature, and Growing Up in Wartime America (Chicago Review Press, 2013). It was “normal” to have everyone write. I still have my own diaries starting from when I was 15 years old. I even kept one when I was 7 from a trip we took to Europe. If it’s a teaching day, I’m running out the door to drive to the campus of Texas State University, where I teach medieval literature. They’d see me grading,writing, editing, and discussing literature with students. Then home, where my family and I talk about our days, literature, politics, films, and the meaning of life. On those days when I don’t teach—the same—only instead of teaching, swimming at Barton Springs. And I pick up my son at high school and hear about his hijinks there. My job feeds my work through the inspiration medieval women give me. They experienced so many things we can find affinity with—even though they lived centuries ago. I am inspired by my students, who work hard and have wonderful, quirky ideas. My family always inspires me—they are funny and smart and I need to be ready to have an answer for their witty repartee. My greatest source of pride is my wonderful family—of course! I’m very happy about awards I’ve won for my work. I’ve dedicated my professional life to making the lives of women visible, whether from the medieval past or more recently. Winning this award from Texas State–Women’s and Gender Studies Outstanding Faculty Scholar Award–really makes me proud. Two of my books have won a number of awards. A Medieval Woman’s Companion: Women’s Lives in the European Middle Ages (Oxbow Books, 2016) was translated into German this year and won a Gold Medal in College Nonfiction from Literary Classics, and several others. 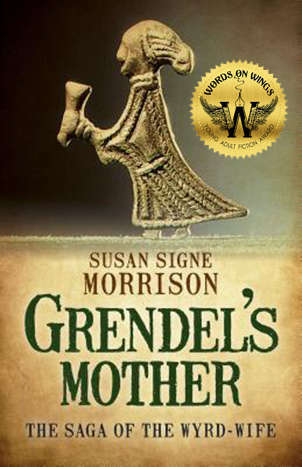 Grendel's Mother: The Saga of the Wyrd Wife won the Words on Wings Book Award for young adult fiction, a Literary Classics Top Honors Award 2016. I got to go to Las Vegas for that ceremony which was delightful. 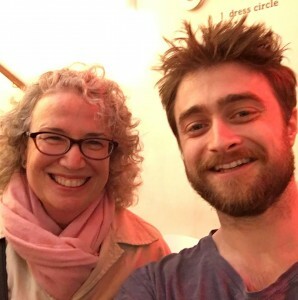 Yes, that is Daniel Radcliffe! How your writing can take unexpected turns. You can’t predict where your project will end up. And how wonderful it is to touch people you’ve never met in person. I hope they find a compassion for humanity. If you had to be a penguin or an aardvark, which would you choose? Penguin! 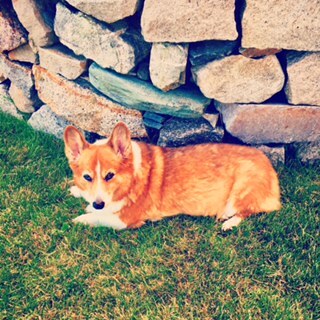 I love to swim, even in cold water—which I do at my husband’s family house in Massachusetts every summer. Book. I don’t want my imagination confined by someone else’s vision. Houseboat! My husband and I are already discussing that, when we retire, we might live on a barge.